Three words to make your field workforce perform to the best of their abilities. What would you do when your plans for effective field service management don’t execute as you wish them? It’s simple. Just go back to the basics and reinvent the wheel. It’s an arduous task if you stack it as such. But imagine the big names like Amazon, Google, IBM, Microsoft, Apple, or Tesla. These companies renovate to resonate with each evolution stage of its audience. If you followed the iPhone X launch, you would have followed a wave of new age pricing and audience profiling with the subdued iPhone 8 vs the grand iPhone X. Now imagine the distributors and the retailers pitching the same to the end-consumer. How would this pitch come out? Would it be consistent with what Apple has in mind? Historically speaking, the answer to this question is a ‘Yes’ for Apple, but a ‘Maybe Not’ for many others. How to Boost Sales Using Field Sales Management Software? Your ‘pitch’ should be well set before your field sales workforce goes on their routes. They should know that the pitch they would be using for their clients, whether distributors, retailers, or enterprises. These ‘pitches’ is would what move further into the channel (or within the prospect’s enterprise). The distributors, retailers, or prospective point of contacts would speak the same language that you have given them. If the interaction of your sales workforce is precise then the further chained conversations can be better controlled. This can be put into process effectively using a proper field sales management software. 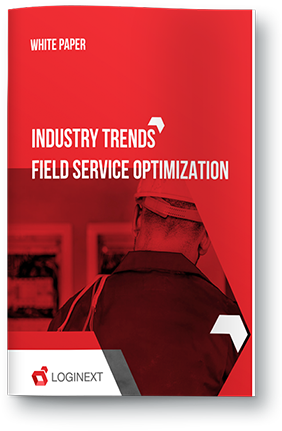 Field service management is a dynamic field which needs to be better directed and molded for best results. With a precise field sales management software, you could control whether your field sales workforce reaches their appointments on time. This is just the first step but one of the most important steps. Reach on Time: Use the Field Agent Performance Optimization Tech Now! Many sales meetings start off on a sour note if the sales agent doesn’t reach the event on time. It’s akin to be on a backfoot in the sales pitch. Timeliness is very important in setting a good impression for any sales agent. Especially in enterprise deals, field agents must manage their appointments wisely. Companies could utilize their field service management tool to perfection by allocating tasks to ask per best suitability. Now, what is this best suitability? The best suitability is matching the sales or service agent, with documented qualities and abilities, with the perfect sales pitch or client. There would be some agent who is more attuned to specific prospects or clients and they should ideally meet with those. This is called effectual sales benefits. LogiNext recently utilized these principles with one the largest beverage companies and their bottler networks. LogiNext Field, a field service management software, could boost their channel sales by more than 20%. Effective Feedback Capturing and Invoicing with Mobile Field Service Software! The main push a field agent management software could do for any company is to maximize the chance of a positive output from each sales or service visit. There are two ways to do this. The first being information support. LogiNext Field boosts of meeting insights and in-app chatting to keep the field agent active and engaged to answer any client query anytime. Moreover, the feedback from the meeting can be captured in real-time and recorded for the company to review and react. A new sale strategy or an exclusive discount? The on-field agent can have a turn-around decision within moments boosting the credibility of that agent and the company alike. Even the invoicing or order-placing can be made seamless with an effective field service management application. Imagine getting the inputs from a retailer and feeding it directly into the central system. The order update is then verified by the retailer through their smartphones (or by signing an electronic proof on the agent’s application). This would bring clarity and authenticity to the distribution process. Such simplicity would eventually end up boosting channel relations, setting up possible exclusive platforms to push the company’s products and services. Field force management software is here to stay, companies must implement the same as fast as possible to get ahead in the market and create a satisfied channel following of their own.